Cycling is becoming a very popular activity in Ladakh. The bicycle rental sector in Leh has been steadily growing every season for the last few years. But what are the best cycling routes, and what should you take into consideration when exploring the country on two wheels? 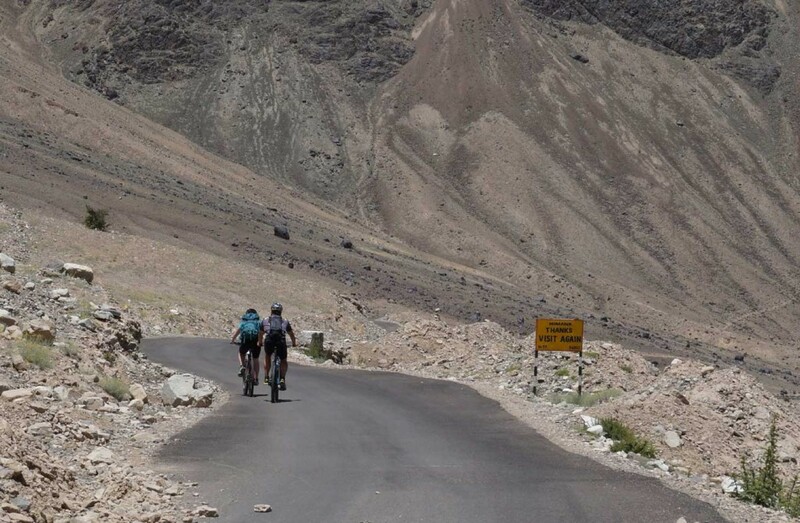 Cycling in Ladakh: where are the best routes? You cycle from 3.500m altitude nearly 2.000 meters up. That fast gain of altitude is not easy on everybody. Problems with altitude can result in a lack of concentration and concentration is what you need on that road. When riding downhill, you should always be very careful and keep your eyes on the road, since these can sometimes be heavily damaged and very bumpy. A small mistake can have fatal consequences. Obviously, this kind of bicycle trip should only be made after you have properly acclimatized. When cycling, you are not alone – many trucks and jeeps drive along the same roads. Yes, the car drivers are by now used to the cyclists, but you still have to be careful, because there’s little a bicycle can do against a truck. (As an extra tip: take a scarf or a kerchief with you, in case you need to cover your mouth and nose; at this altitude, trucks can sometimes leave a dense trail of smoke behind them). Many people also like to ride along the highways to Manali or Srinagar. The road conditions are here in general quite good (with the exception of the roads leading to and from the passes of Rothang La and Zoji La), BUT of course this also means a corresponding amount of traffic (during the summer months). Similarly, there’s usually a lot of traffic on the way to the Lake Pagong via the Chang La mountain pass. This is something to keep in mind. Except for these few roads, traffic is relatively scarce in Ladakh and one can truly enjoy the bike trips in solitude. Some good routes are for example the one that goes to Zanskar over the Pensi La pass or the one to/from Nubra over the Wari La. In Changthang – the plateau of Ladakh – there are many rarely used Jeep trails and quiet roads. There, alone under the open skies of the roof of the world, you can really have the cycling experience of a lifetime. Those more inclined to mountain biking can also make use of the many trekking routes available. Should I rent a bike, or bring mine from home? Renting a bike, or bring one from home? What should I do? As we already mentioned, nowadays there are many bike rentals in Ladakh, BUT virtually all bicycles are relatively bulky and/or heavy, and the quality of the equipment, technical service, repairs, etc., varies a lot from one place to another. It is very important to take a good look at the bike and to do a test run before renting anything. Remember to check the brakes! Rates also vary depending on the provider. On average, you can expect a price of approximately 10-30 EUR per day, depending of course on how good the bike is. Also always remember that you can get a flat tire while riding the countryside, so you should ask if they have a spare one (or even better, a complete repair kit) to lend/rent to you. While there is no law in Ladakh that makes helmets obligatory for cyclists, we would always recommend to wear one anyway. In this case maybe it’s better to bring your own helmet from home, since finding the proper size in situ is not always easy. 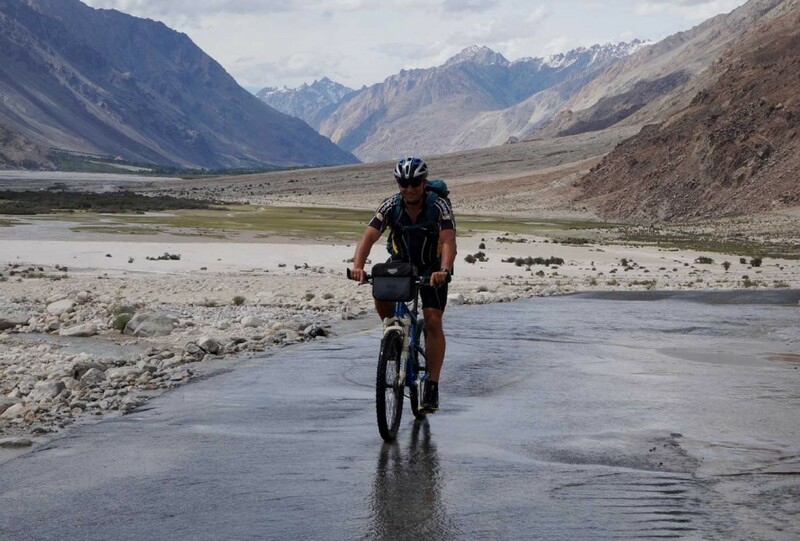 However, anyone who is planning a long bike trip or considers him/herself a good (non amateur ;)) cyclist, should always consider the possibility of bringing his/her own bicycle to Ladakh. The costs vary depending on the airline; in 2016, the transport from Europe to Delhi with Lufthansa was 100 EUR. You can calculate a few euros more for the transportation costs from Delhi to Leh, but this is nothing to worry about. 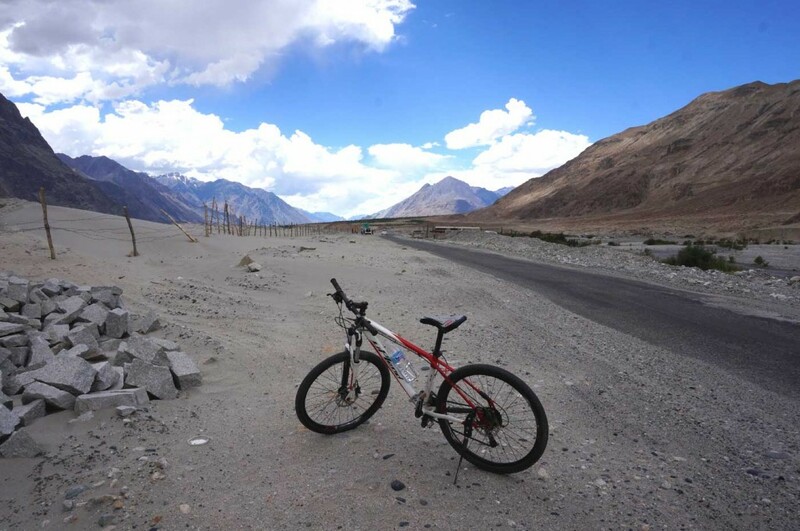 Would you like to explore Ladakh on a bicycle? We can help you plan your trip, arrange a backup car for your luggage and equipment, and possibly even get you provisions and a cook, so you can also cycle to places where no fixed accommodation is available. Contact! 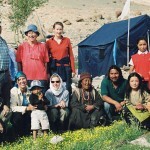 CYCLING IN LADAKH + TREKKING + MOUNTAIN CLIMBING?